This spooky sequel from Eli Roth hits theaters March 1st. 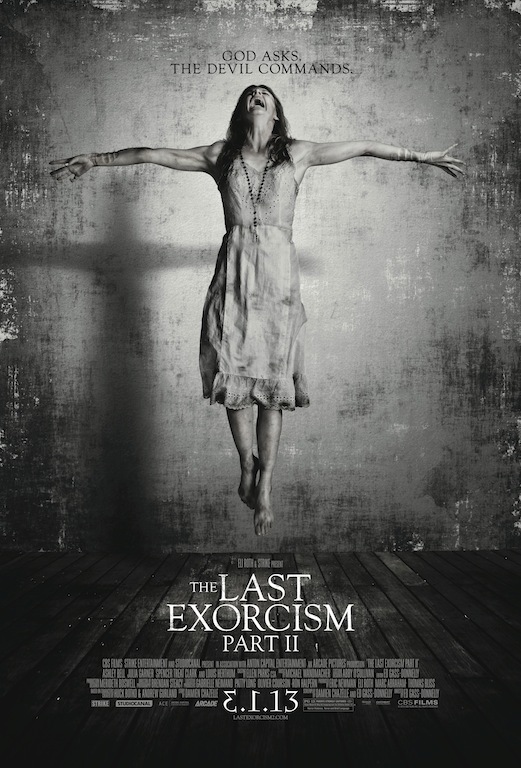 If you’re idea of a great night out includes screaming you head off and weeping uncontrollably with fear, you might want to check out The Last Exorcism II. “Continuing where the first film left off, Nell Sweetzer (Ashley Bell) is found terrified and alone in rural Louisiana. Back in the relative safety of New Orleans, Nell realizes that she can’t remember entire portions of the previous months only that she is the last surviving member of her family. Just as Nell begins the difficult process of starting a new life, the evil force that once possessed her is back with other, unimaginably horrific plans that mean her last exorcism was just the beginning.” Sounds a bit formulaic, but sometimes it just makes sense to stick with what works. What do you think? Sloppy sequel, or an extra helping of a great dish? Check out the official trailer, and the creepy new poster, and let us know what you think!